Nearly 40 million people in the U.S. speak Spanish as their primary language. Although about half of them also consider themselves to speak English “very well,” it’s clear there’s a huge opportunity for U.S. businesses to stand out and thrive by directly engaging with these Spanish speakers in the language they’re most comfortable with. If you run a dealership in an area with a high proportion of Spanish speakers, you’ve probably encountered customers that would have been more comfortable doing business in their primary language. There is compelling data that proves that this is more than just an assumption. In late 2016, Forbes reported that Facebook conducted a detailed study on Hispanic attitudes to marketing in the U.S. The findings showed that the vast majority of Hispanics felt that brands should reach out to them in their native language. The study also found that ads targeted in this way cause a significant increase in this demographic’s desire to purchase an item. It’s not seen as enough to merely perform a perfunctory translation of existing English marketing materials, however. As has been shown repeatedly, translation that lacks nuance and a human eye can often miss the mark, especially when it’s a computer responsible for the translation. Anyone who’s used Google Translate or similar knows that machines don’t always get translation quite right. In 2016, the Trump presidential campaign hit the headlines for all the wrong reasons when lazily translated campaign signs not only said “Hispanics for Trump” with incorrect Spanish grammar, but also used the word para, which can mean “stop” in Spanish instead of “for.” Google Translate still gets this translation wrong to this day. Humans, of course, are not completely infallible in this regard either. In the automotive world, there’s an oft-repeated urban myth saying that the Chevrolet Nova sold poorly in Spanish-speaking territories because no va means “doesn’t go.” Great though this story is, however, the sales figures don’t back it up as factual. Although translation technology’s shortcomings in handling nuance and cultural difference may not be immediately apparent to a non-Spanish speaker, to someone who speaks the language fluently, they will be glaringly obvious. It seems likely that the third option will prove most appealing to potential Spanish customers. And let’s not forget it isn’t a small market—it’s one consisting of nearly 40 million people. 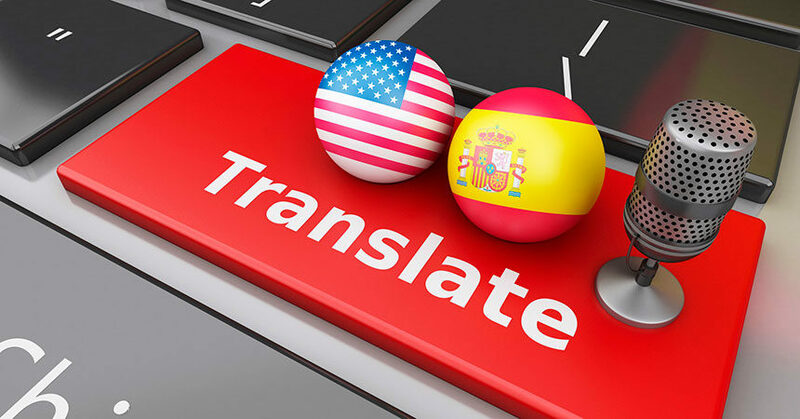 With translation technology such as Google Translate so widely available, it’s no surprise that some businesses see using it as an acceptable token gesture—a better alternative than making no effort at all to engage in Spanish. In the auto industry, however, this is not without risk. Vehicle transactions involve intricate detail when it comes to listing the features of a car and in the written specifics of a lease or purchase transaction. Dealerships that use computerized translations introduce the risk of creating a false impression of a vehicle or a special deal, potentially to the point of risking misrepresentation and creating the potential for legal trouble. America’s Hispanic citizens expect better than machine translation, and are more likely to buy from companies that make the effort to appeal to them directly. With all this in mind, it seems clear that a little more attention paid to professional translation will pay substantial dividends to dealerships in areas with a significant Spanish population. Add in the fact that this effort can protect against potential legal problems down the road, and it seems unwise for dealers not to spend the time on it. Louise Taylor is the content manager for Tomedes, a translation company. She handles the company blog and the Tomedes business translation center. Louise has always enjoyed languages and has studied Latin, French, German, and Spanish, as well as Portuguese.